Click on the [sign in] button in the top right corner and choose one of two ways to create your account. The fastest and easiest way to create an account is by using Google or Facebook to sign in (1). By doing this you do not need to verify your email address and you do not have to set any additional password to remember to be able to sign in. Our site will never post on your wall or publicly display your email address. If you do not wish to use Google or Facebook to sign in. 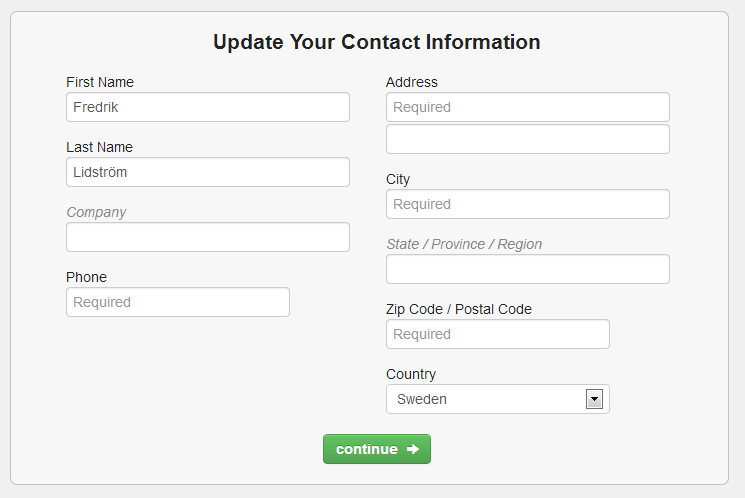 Just type your email in the email field (2), then click the sign-up link (3) to continue. An email with a confirmation link will be sent from Sonic Charge <noreply@soniccharge.com>, if you cannot find it, please check your spam mail folder/filters. Serial numbers are in the format five-three-five where the first one or two characters normally are letters and the rest are digits. 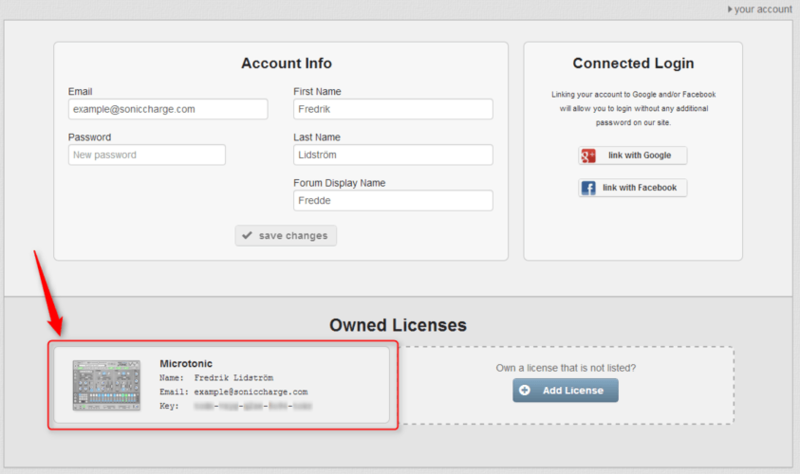 Your license is now created instantly and can be found on your account page.